WWE Live are live shows held in between episodes of Monday night Raw and Thursday night Smackdown. Unlike these two premiere events, the Live events are not shown live on television. They feature wrestling stars from both Raw and Smackdown. The shows are held exclusively for the audience in the arena. 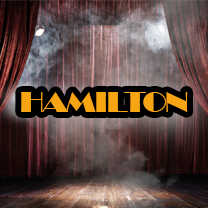 Get WWE Live Hamilton tickets and watch wrestling superstars such as the destructive Ryback, the sneaky Bad News Barret, the charismatic New Day and the Bulgarian destroyer Rusev feature at the event. Each of these stars is embroiled in exciting rivalries and match ups. Don’t miss the action to the buildup of their stories as WWE Live comes to the ‘Ambitious City’ Hamilton. The WWE excitement will take over Hamilton, Ontario, as well, when WWE Live will be held here. The Live event is set to feature some of the biggest names in WWE such as Ryback, Rusev, Dean Ambrose and many more. Ryback, the destructive powerhouse, has been looking to settle the score with Bray Wyatt. Wyatt has proven to be as elusive as ever, relying on mind games to get the upper hand on Ryback. It remains to be seen whether Ryback will be able to overpower the twisted Wyatt. Get WWE Live Hamilton tickets and lookout for any developments in the story line between the two resilient fighters. “The Bulgarian Brute” Rusev is another powerhouse on WWE as well. He has challenged the current US Champion John Cena to an ‘I Quit’ match at the pay per view ‘Payback’. This fourth rematch between the two has certainly got the WWE Universe buzzing with excitement. The stakes can’t be higher, with the US championship and honor on the line. For either of them to win the match, the other must be forced into uttering the humbling words, “I Quit”. Before the showdown is set to take place, a war of words can definitely be expected between the two. Other than the aforementioned stars, newly crowned ‘King of the Ring’ Bad News Barret, Luke Harper and The New Day are also expected to feature in the Live event.